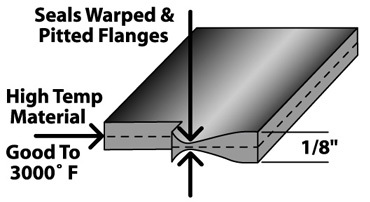 These gaskets start off at 1/8" thick, but crush to 1/16", filling the void created by warped or pitted flanges. 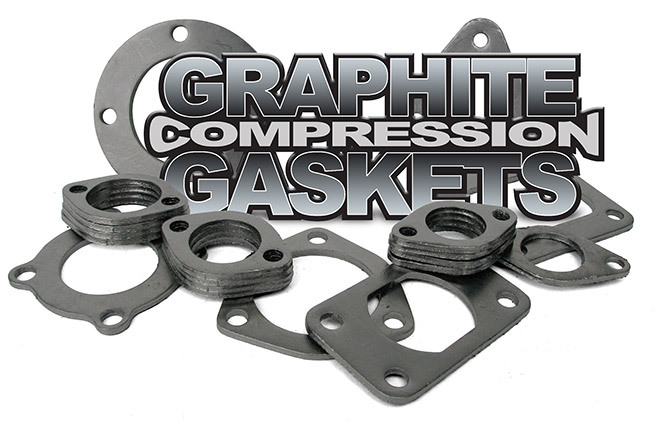 CB Performance Graphite Compression Gaskets can really take the heat (up to 3000 degrees! ), so they are the answer for a perfect seal on a turbo charged engine. Due to the expanded graphite matrix of these gaskets they rebound against the sealing surface so they do not require re-tightening of the exhaust nuts. From stock to big turbo engines, CB Performance Graphite Compression Gaskets will be the last gaskets you will need to buy!